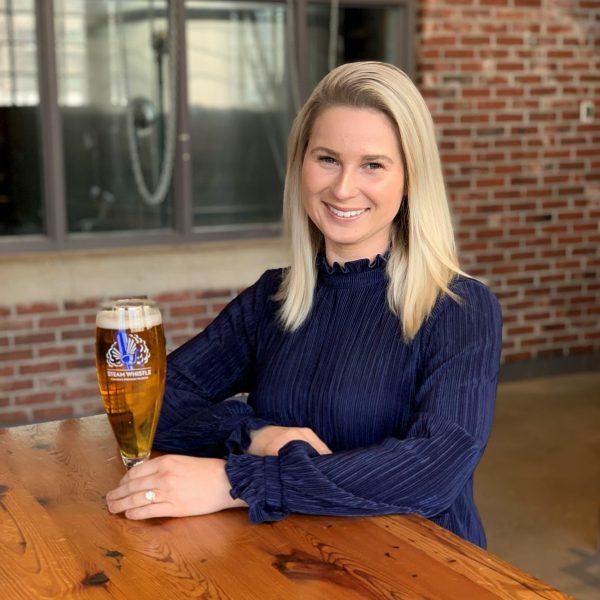 Learn more about Alexandra Rasksen, Steam Whistle’s Human Resources Coordinator. How long have you been a part of the Steam Whistle/GBF family? I am coming up on 4 months with the Steam Whistle family this week! I am the Human Resources Coordinator. I provide support in the day-to-day operations of Steam Whistle’s HR department, from recruitment to new employee onboarding. It’s truly an exciting time in HR at Steam Whistle as we prepare to hire staff for our new event space and new Biergarten opening this spring. Lots of fun and exciting changes ahead for our growing team! Why did you apply to Steam Whistle? Culture is a huge driver for me, and I’m a firm believer that the universe works in mysterious ways. 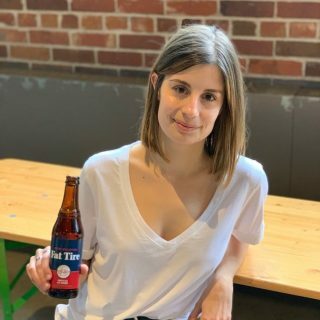 When I was ready to make the jump off the corporate ladder and join a smaller company with strong values and a great team, there was a job opening I was qualified for at Steam Whistle. It was fate – can’t argue with that timing! If you had to choose, what would be your favourite aspect about coming in to work at the brewery? Being a part of the brewery atmosphere. The people that make our beer are so passionate about it! It’s unique in the sense that you get to be so close to the beer being produced, while standing in the middle of one of Toronto’s most iconic historic buildings. It’s exciting to be in the middle of the action together every single day. There are many aspects of the brand that make Steam Whistle stand out. What first comes to mind is our pride – in quality, in tradition, in transparency, in who we are. 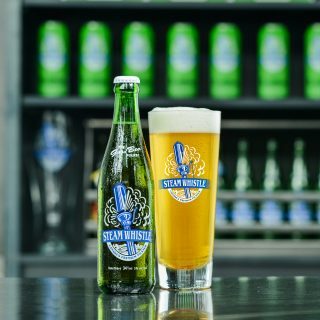 What is a Steam Whistle initiative that means a lot to you? Our Green Initiatives. It means a lot to me that the company I work for takes pride in making the world a better and greener place. Plus, I think its cool to say that the same steam that sounds off our operational steam whistle every hour, also heats our brewery! Without a doubt. The people that work here are of the same breed. We’re outgoing and a little quirky, hardworking, and most importantly, we know how to have fun when beer o’clock rolls around. We bleed green and are proud of it! Where is your favourite place to enjoy a Steam Whistle (other than the Roundhouse)? My favourite place to enjoy a Steam Whistle is at home – whether it’s mine or someone else’s. It has quickly become a habit of mine to show up just about anywhere with a case of Steam Whistle in hand; in fact, it’s expected (and appreciated). My friends and family have quickly become ambassadors of our brand and that makes me so proud! What is one word you would use to describe your work experience at Steam Whistle?